Mensusa https://www.mensusa.com/articles/how-to-look-good-in-a-two-button-tuxedos.html How To Look Good In A Two Button Tuxedos The key to shinning in your two button tuxedo is paying attention to very small details that am going to give you. So, you have mastered the art of suits, got an impeccable collection of ties and your dress shirt choices are splendid. That's right, I said splendid. You imagine that your wardrobe is pretty ready for any occasion until you get an envelope in your mailbox inviting you to a tuxedo event which happens severally at the end of the year. The question is how do you look meticulous in a two button tuxedo that you don't wear often? Read on. It's an art to look good in formal wear and here's how. This might sound ridiculous and obvious. Just like suits, getting the right fit for you is 95% of the game. Am not just talking of the right measurements! Make sure you get the right style too. If you the type with an athletic body don't go for a buggy and boxy tuxedo, instead get a slim one and not a skinny one. This is not a bicycle race. You want to look really good. 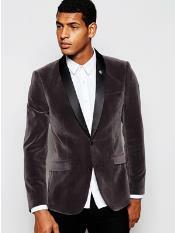 If you are a novice when it comes to two button tuxedos keep it simple. When done well the traditional look will hold well and your will steal the event for yourself. You might not be a pedant for details but give yourself just one night. The key to shinning in your two button tuxedo is paying attention to very small details that am going to give you. Pay attention! What makes a two button tuxedo jacket a tuxedo jacket? These jackets come in grosgrain, satin, peak lapels and vent less. Two button tuxedos are popular as opposed to the sporty looking center vented ones. If yours has floppy pockets, turn them inside to achieve the look of a piped pocket. Stay away from more than two buttons or notch lapels. These are pretty straight forward. The only concern is how you are going to hold them up. A belt? Don't even think about it. When going out for an official event, belt loops are unacceptable. Instead use suspenders, braces or side tabs. Pleats will help your trousers drape nicely creating a vertical line on the front of your legs. With a pleated front avoid cuffs that look too casual. Your shirt of choice should have spread collar to frame your bow tie. 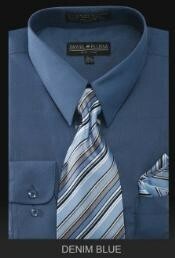 It should also come with French cuffs, and optional wing collars for the old school gents. A white shirt will always go well with a two button tuxedo. If you don't have one make sure your choice doesn't have ruffles unless it is paired with a hook and an eye patch. If you decide to go with a bow tie, let it be black and tied by you. I know it takes some practice. You might not be perfect. That's the point. Your imperfection will add character to your refined look. Don't break the rule and wear a necktie. I have broken the rule myself and suffered severe wardrobe malfunction. Studs and cufflinks work well with jewelry. Silver is a safe choice. However if you want to go a notch higher gold will always do the trick. Complete the gorgeous look with a puffed white pocket square. On the question of footwear, a plain toe shy is the best bet. Black patent leather is also a nice suggestion though you can also get along very well with black polished calf skin leather shoes. Formal pumps sound feminine but are actually very masculine. Now that you are fully armed with a two button tuxedo, it's time to hit the scene! You have a formal party to attend? A Gala Night for your favorite charity? Follow my guidelines and you are guaranteed to look much way better than 90 percent of your colleagues.